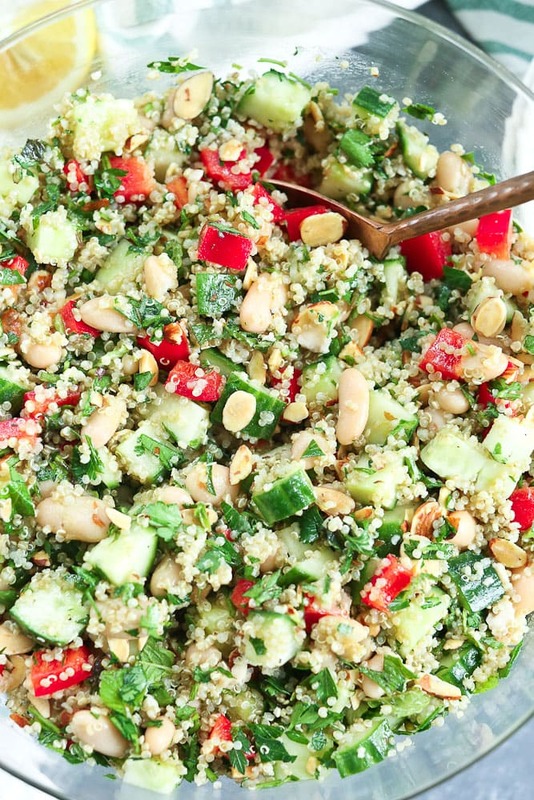 This Quinoa Salad recipe is quick and easy to make and full of beautiful, fresh flavor! This is a great recipe for make-ahead lunches or to bring to a potluck. Last week I shared how to cook quinoa. Whether you’ve been cooking quinoa for years, or you’ve just learned the technique, now you need to make this lovely Quinoa Salad. It’s my new favorite quinoa salad–I can’t get enough! This quinoa salad is PERFECT for meal prepping lunch. When I first made it, I had it for lunch all week and I looked forward to lunch everyday. Everyone will love you if you bring it to your next potluck or gathering where you’re expected to bring a salad or side dish. Who doesn’t appreciate the healthy option that also tastes fabulous? It’s a nutritional powerhouse!! 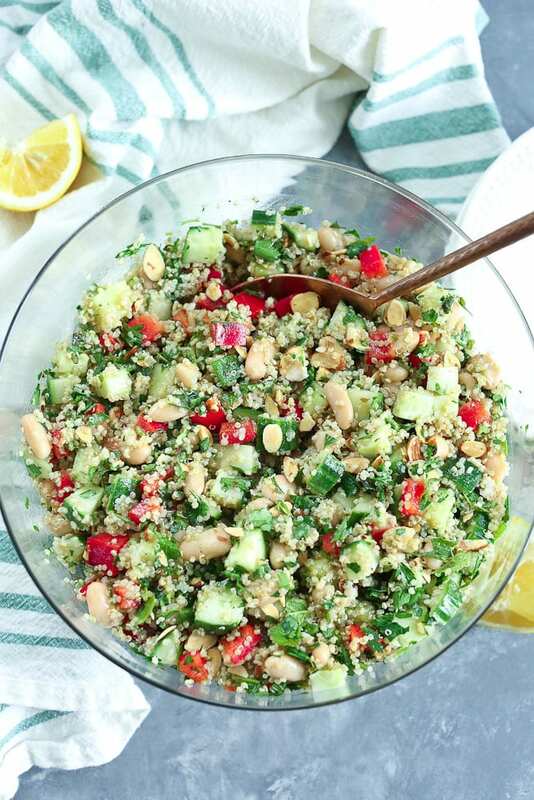 Along with the cooked quinoa, it has cucumbers, red peppers, fresh herbs, white beans, and sliced almonds. Everything in this salad has great nutritional benefits, as well as contributes to fantastic flavor and texture. It’s a win-win situation. The salad is dressed with extra-virgin olive oil, apple cider vinegar, lemon juice, and just a touch of sweetener. It’s a simple and delicious dressing that works perfectly here. See how just a little addition can change the salad up? Have fun! I really think you’re going to love all the flavors and textures in this quinoa salad recipe. I hope you try it soon! This video shows you just how easy it is to whip this up! 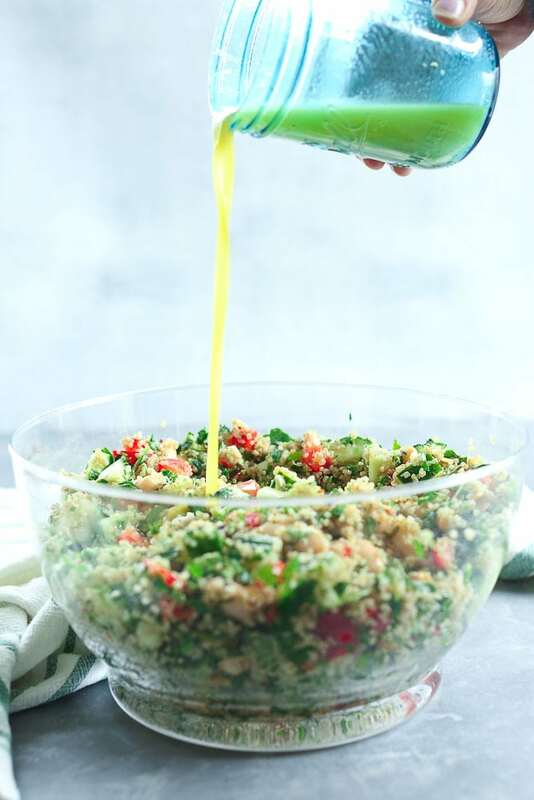 This is a fresh, bright, and healthy quinoa salad recipe that is wonderful for meal prep lunches or a potluck! In a large bowl, mix together all of the ingredients from the “for the quinoa salad” portion of the recipe. In a separate bowl, combine all of the dressing ingredients. Drizzle over the quinoa salad and toss to evenly coat. Enjoy! **I used one entire small package of mint, which was just under an ounce. You may also love my Warm Quinoa Salad or for a heartier salad try my Mediterranean Quinoa Salad with Chicken! If you make this Quinoa Salad recipe, or any Happy Healthy Mama recipe, I would LOVE to see it! Please take a pic and share it on Instagram or the Happy Healthy Mama Facebook page and tag me @happyhealthymama and hashtag it with #happyhealthymama? 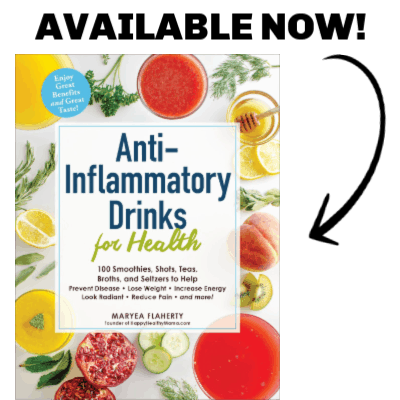 Previous Post: « Anti-Inflammatory Drinks for Health is HERE! Yes, basil would work here! Last weekend I brought this salad to my husband and he fell in love with this salad. Everything in this salad has great nutritional benefits, so now he asks me to make it almost everyday.